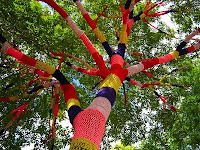 Also known as "Knit Bombing" and falling under the category of "Random Acts of Art", Yarn Bombing is the act of decorating something with yarn, typically by knitting or crocheting. I shouldn't bother trying to explain this concept, a simple Google search of "knit bombing" will get you plenty of colorful results. This is a great example of a picture speaking louder in words. 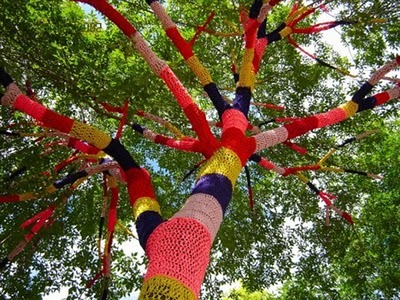 People have used yarn to decorate anything from trees and sign posts to bicycles and TANKS. Yes, that's a tank covered in pink yarn. Recently I have been knitting a lot and have conquered the basics of knit and purl, but I know there is a lot more to learn like yarn overs and yarn unders and how to make a pretty cable knit sweater. 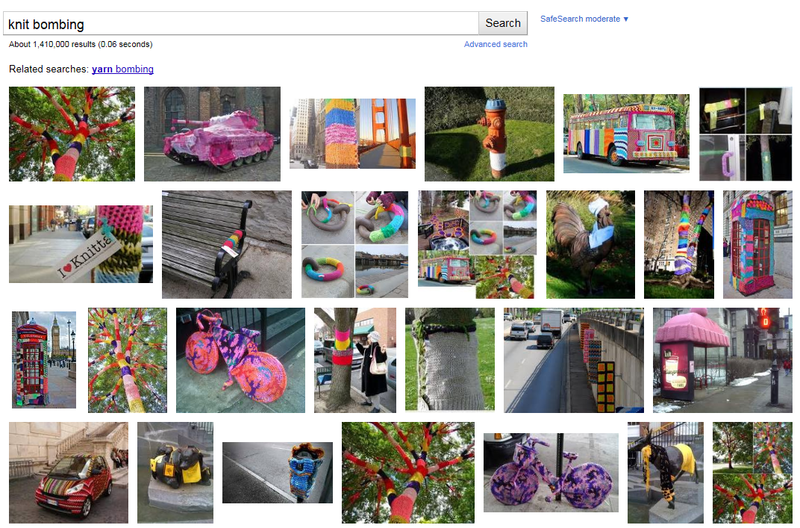 However, I shouldn't need to learn all of that in order to decorate the neighborhood in yarn. 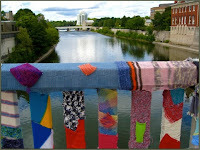 After I finish this scarf I am working on I'm going to have to choose my first target! If I am successful I will be sure to blog about it, of course. This is a world-wide phenomenon.